Last night my Sister accused me of having an entire secret stash of clothing. While I never considered it to be secret, it is a huge shopping bag at the foot of my bed where the new stuff I've been buying has been collecting, waiting for some hangers to free up in the closet. 1. My recent thrifing windfall - did I also mention I went back a few days ago and found this awesome white coat for $10? 2. A free shipping coupon at Forever 21 which lead to tons of unnecessary purchases - which I will be sharing when they arrive. 3. 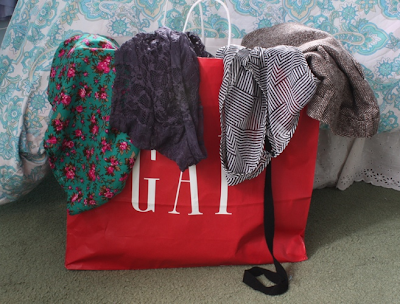 A few impulse purchases, some shorts (yes, shorts!) from ebay, and a pair of EchoTouch iPhone gloves, now that it's March and I wont actually need them until next winter. 4. I should be saving some money spend in Italy, because everything there will be twice as much as it is here, but I know I'm going to want to buy things anyway! 5. You shouldn't buy yourself stuff before your birthday! Not buying new things means making good use of what I already have. 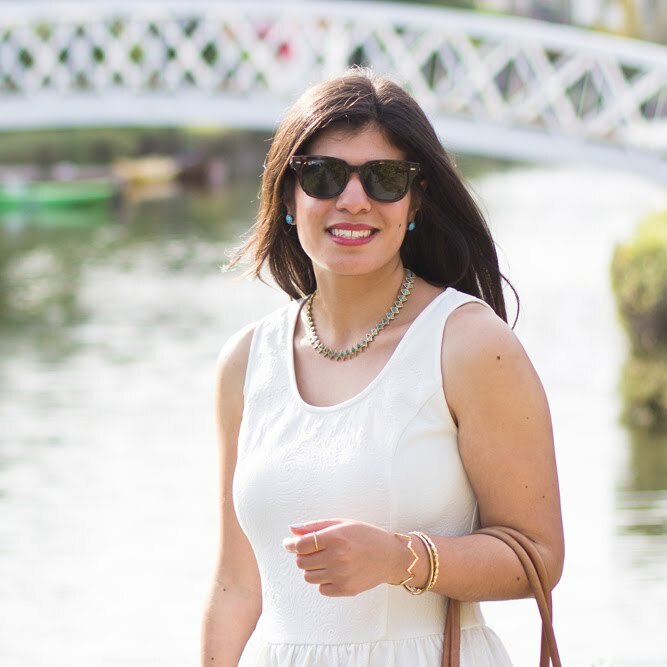 La fille d'or is currently doing a style challenge where she has chosen three items and is wearing each of them four different ways over the next 12 days. I really like this idea, though I think I'm going to change it a bit and use four items and space it out over my 24 days. 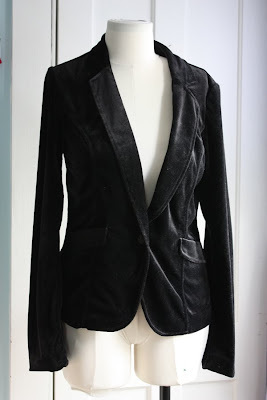 Remember how desperately I needed this black velvet blazer in November? Do you know how many times I've worn it since I got it? Once. Sad, right? 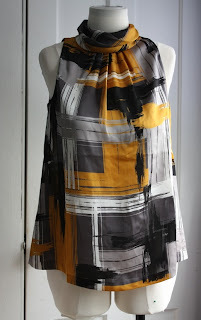 This brushstroke top was a Christmas gift that I hadn't worn because I was having layering issues - generally I stay away from high-necked items, but I really loved the colors and patterns of this top. And check out the back! I love it! An impulse purchase from last summer, I've never worn this sequined top (until last Friday)! This skirt was one of those wonderful TJMaxx clearance finds, it was $30 with an MSRP of $220 and I had to have it. I really love it, and subsequently have worn it once. 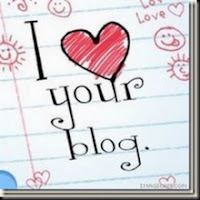 I've received the I ♥ Your Blog award from The Robins; Thanks so much! 2. pass it on to 15 other blogs. p.s. Don't forget to enter my giveaway if you haven't yet! Ohh! :) You're so sweet for passing that on to me! <3 <3 You would definitely be my first pick for that award! && hey, I feel you. I've bought about five jackets in the past three weeks.. even though the nice warm weather is starting to come out. Haven't worn any of them but one two times. I'd feel better if the jackets were on sale, but sadly they were not. Free shipping F21 coupons.. oh, how I would so spend that! Good luck on your shopping ban! I think I shall join you on it.. maybe.. possibly.. hahaha. I like this challenge - can't wait to see what you do with your (super cute) items! Where are you going in Italy? This is such a great time of year to escape to the Mediterranean. I hear you on the velvet jacket- I have many a guilty expensive piece glaring, unworn from my closet. Oh that coat! It's faaaaaaabulous. Whoa, these pieces are fabulosu! Cant' belive the coat was $10..
Lots of fun stuff going on here! I particularly like the sequin top. Striped, sequined, and yet somehow still a neutral piece? And the giveaway is perfecto for spring. Oh my gosh! Thank you! : ) You are too sweet! And I am so glad you are taking the challenge idea to the next level- and Italy! That's so exciting! I hope you'll share some pictures from your trip. You'll want to do some shopping there for sure! I hope to get to Italy some day soon the hubby is Italian, so it'd be a lot of fun to see where his family from. and i have to say i really really love that tj maxx skirt! Hehe I am sooo similar - I let my new clothes pile up until I can find room for them. 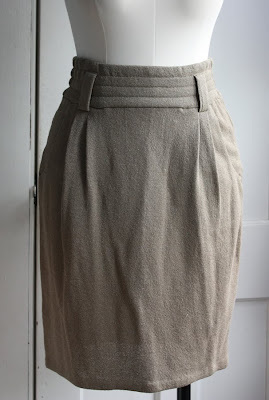 Gorgeous skirt, so simply, so chic. Ooh you're going to Italy, how exciting! Good luck with the shoppong ban - I did it for a year and the longer you do it the easier it gets. omg im going on a shopping ban too, the only thing im allowing myself to buy is a cheap school bag as my pink suede one is getting ruined by me dragging it around all day. You have some amazing clothes, you should really wear them more than once :) I love the velvet blazer and the skirt..
And the white coat is stunning, the collar adds so much flair to it! Ps. I love that velvet blazer! Haha I have a secret stash also.. but its more like clothes I try to hide from my bf so it seems like "oh I've had this for awhile..." LOVE that white coat, what a great find! I'm supposedly on a shopping ban, but its not quite working out... oops! Congrats on the award and thanks for passing it on! DON'T YOU JUST LOVE THRIFTING!? P.S. that black blazer is nooooice. Thanks for the award, darlin'! I'll be sure to post it on my blog soon! I hear you on the shopping ban. I need to institute one of my own in preparation for an upcoming California vacation (not nearly as amazing as Italy!). I always seem to get distracted by the latest pretty item! But I love the idea of delving into my closet for unworn gems. Shopping ban or not, I wouldn't have been able to pass up that gorgeous coat! 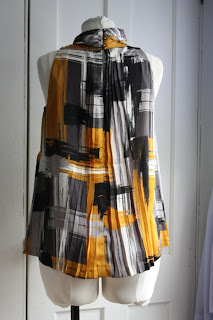 LOVE the pleats in the back of that lovely top! I feel your pain with closet space.. oh what I'd give for a good walk in. This is an AWESOME challenge and I can't wait to see how it turns out! Especially with wearing the high-neck brush stroke top different ways.